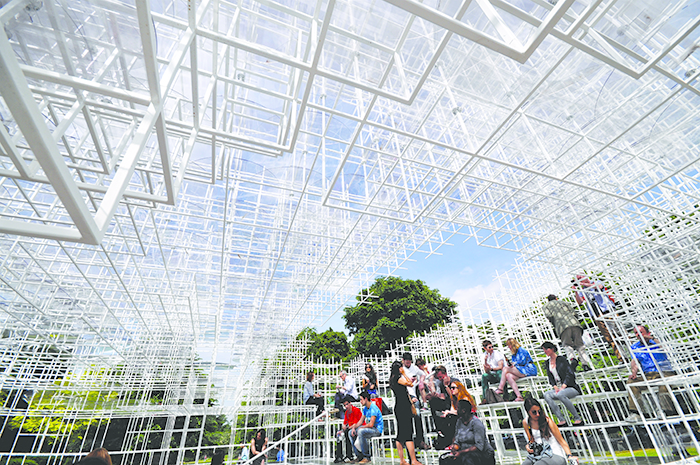 Putting the jungle into the concrete jungle is a delicate process that architect Sou Fujimoto has effectively delivered in his designs. 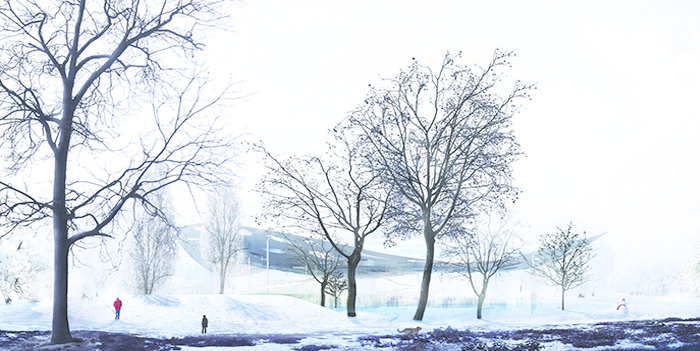 The House of Hungarian Music, Sou Fujimoto’s winning submission for the Liget Budapest museum competition. There’s a wisdom about Sou Fujimoto’s thinking that belies his relative youth. The University of Tokyo architecture graduate is the rising star of design, having built homes and monuments in Japan, which then led to commissions in Europe and US. He has been asked to share his views on design with audiences around the world. The 40-something architect is smartly turned out in a casual ensemble in hues of black and blue with comfortable white shoes, and as we chat, he breaks into a smile often, his crow’s feet adding a greater sense of mirth to the occasion. As he thoughtfully considers each question you get a sense that a similar considered reasoning prevails when he designs buildings. Balancing space and structure is an ongoing effort for the awarded Hokkaido native who grew up in open spaces but now resides in Tokyo. The need to find free spaces in dense cities has pushed Fujimoto to work in organic enclaves that offer humans respite from the urban jungle. STORM: As an architect who helps shape society, what thoughts do you have on the next 50 years? 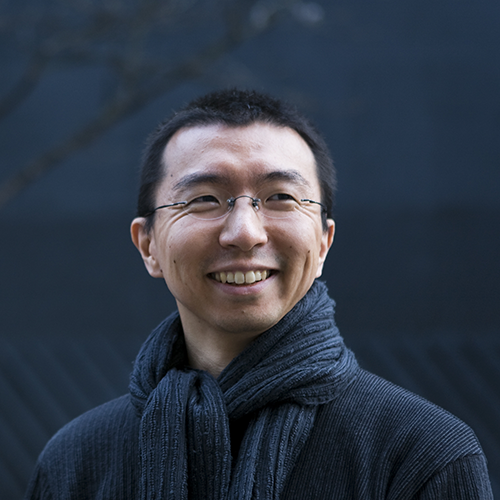 SOU FUJIMOTO: As an architect, I’m always interested in how we create something for 10, 30 or 50 years — the future, not just next year’s trends. My vision is very simple. I design a living environment. Our living environment is a mix of architecture and nature, but how to integrate them has always been a big challenge and could also be a source of innovation, to bring in new ideas to make a better living environment. STORM: Are there new ideas you feel should be incorporated into design sensitivities of the future? FUJIMOTO: One of the amazing points of nature is its diversity. It’s not just about bringing the greens into architecture, not just making sustainable architecture, but something beyond that. I’m not so sure what it is, but that is my interest. For example, I use the forest as a metaphor for future architecture. In the architecture forest, the scale or quality of a space makes for different kinds of communication. Or different types of brightness and openness, or closeness or half open-air, half air-conditioned…. But I don’t know yet how to make that kind of architecture forest. That is always a starting point for me. "Of course, technology is now completely part of our life, but I’m not sure if nature is still a big part of it." 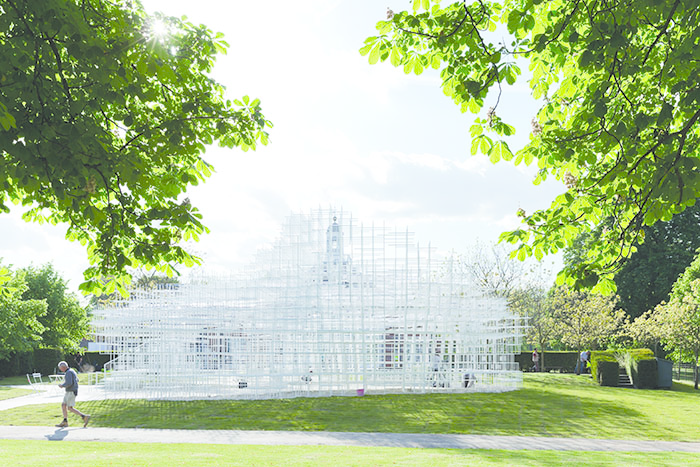 Sou Fujimoto’s cloud like pavilion built on the lawn of the Serpentine Gallery, London (2013). FUJIMOTO: I get inspiration from everything, but of course as a real project we get a lot of inspiration from the site, the location and surroundings, and history of that area, history of the lifestyle of the local people, together with the project’s requirements. At the same time, from natural things like the shape of the trees, leaves, how animals behave, or how birds make a nest. I love physics, so I look not just at superficial interesting shapes, but something behind the shape or what we see in our lives — simple rules that created the world; a nice mixture of complexity and simplicity always catches my attention. STORM: What is the attitude of the public towards your buildings and developments? FUJIMOTO: I think people like to have something different from their current situation, not just different but to create something better. The strong character of my architecture is to re-question what we have, the fundamental things, and re-questioning the architecture we have, then try to go back to the beginning and recreate something. In that sense, our architecture is something very new, but at the same time touching on something very old, something really fundamental. So we try to realise both of them. We have many new things and our thinking is changing, but I believe human nature is still ongoing, so I try to redefine human nature in this new age, looking at the interaction between the fundamental things and new things. In that case, it’s not about making something crazy for promotion, but to create something basic for public places or private houses. STORM: How does it carry culturally across different continents? FUJIMOTO: It’s really exciting, because every time we work on different sites we will see different climate conditions and cultural backgrounds, different contexts and shapes of the city. The way people live, their background and history, and the varying climate conditions are hugely inspiring. STORM: What is the relevance of history and culture in progress? Why not just build new? FUJIMOTO: When we sit in a room, we feel comfortable, depending on our fundamental feelings. We could use technology to change something, but it is a little too artificial. Of course, technology is now completely part of our life, but I’m not sure if nature is still a big part of it. How we understand the world and nature has already changed after the computer was created, or after the concept of sustainability emerged. We are still keeping some features of our life, but on the other hand, new things are happening. So the communication and interaction between these two make for new, exciting things. Inside the structure at Serpentine Gallery. STORM: What do you think of Singapore’s architecture? FUJIMOTO: I really love how energetically it is growing, yet the development is nicely controlled, so the balance is quite beautiful. And it still has energy, introducing something new and sometimes something crazy that creates the ‘wow’ sensation. But it shows that the city is still growing. I believe that kind of positive energy for a better future is really impressive. STORM: How is the psyche of a city shaped by its architecture? FUJIMOTO: In the case of Singapore, the size of the country is small, many people are living here and some of the high-rise buildings are so densely clustered, but there is still a nice openness. For example, you have a lot of trees on the streets so you don’t see too much of the depressing architectural environment. There is always a balance of denseness and openness. The density sometimes makes for excitement, but complete density is just depressing. So, creating diversity is good, it creates a better living environment. STORM: As populations grow, how should cities cope with the phenomenon of migrant populations coming in? FUJIMOTO: For me, homogeneity is the worst thing to have in a city. If you like to make many things as equal, there will be great density and urban spread. But equality is boring and makes people tired, I think. So, even if we have a super dense area we should have an open area within. Or even in a building, have a dense area and less dense areas nicely mixed, then it’s nice to make that kind of excitement of an otherwise unhappy situation. If the population is growing, we need to have something to support that, and that kind of density is becoming a problem. I believe density itself is not bad, if we can control a nice distribution of density of population and buildings together with openness. I live in Tokyo, and it has a nice energy because of the density with many different kinds of people who could inspire each other. My hometown is in the countryside so I also love the openness to relax, but if we could have both of that, it’s the best. I think it’s possible, even in the middle of a super dense city centre, we could make a nice variation, like New York’s Central Park. Even within a building we can have diversity. STORM: Which are the cities that have impressed you? FUJIMOTO: Different cities have different strong characters. I love Paris, New York and Manhattan because they have a big range — historical things, old things, little things, new things. For example, Paris has a really strong Historical Axis (on the Right Bank of the city) but it also has small, winding streets. So that kind of big range is impressive. On the other hand I like the medieval small cities in Europe, like Dubrovnik in Croatia, and Venice. I also love new cities like Singapore because they are so different from Paris, New York and the medieval cities. They have their own strong characters and are full of inspiration. STORM: What are the more offbeat things you see in architecture that still function effectively? FUJIMOTO: Marina Bay Sands — it’s crazy, it’s like a dream of the people, with its floating swimming pool. I like the space in the lobby, it’s so crazy. I love the interior and exterior of MBS. The Sydney Opera House is the icon of the Australian city, it has beautiful interior space, but its exterior has enchaned the impression of the city with its unusual architecture. Ron Chandran-Dudley was a tireless advocate for the rights of people with disabilities — and civil society and social work at large. 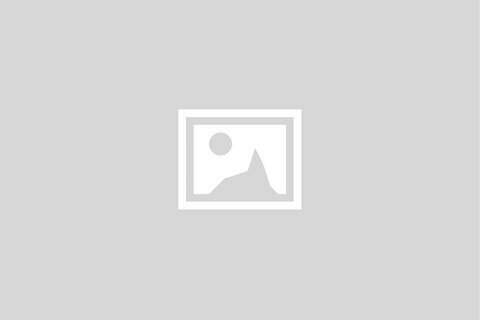 Copyright © 2016 MagBe Pte Ltd, All rights reserved. Read your favourite magazine articles from numerous magazines!